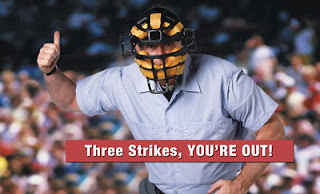 Okay, I know the number of strikes against this council are certainly more numerable than the three required in baseball to send a batter packing but the focus will be on the three most egregious. As with any team sport the capability of the team captain can be the genesis of the team's performance. In the case of Team Council of Nanaimo, the captain of this team earned his spot on the team by declaring many ideals and goals. A poor performance early in the season set the tone that has plagued this team ever since. At one point 7 of 8 team members asked the team captain to step aside, and his reluctance to honor the request led to the establishment of other captain(s) filling the void created. STRIKE ONE - COLLIERY DAMS - without doubt the first strike and the one to set the tone for the rest of the season was the decision to capitulate on election promises to leave Colliery Dams alone and tell the Province to wait for some actual proof there was a problem. STRIKE TWO - THE EVENTS CENTRE (aka the hockey rink) - spending a million dollars or more on consultants and staff time to put forward a plan that at the very least insults the intelligence of any thinking person. The idea that we can find $5.5 million every year without impacting taxes or services was the most damning aspect of this whole boondoggle. This presented the possibility that a) they either thought the public was stupid enough to buy that line or b) this council and staff actually believed that line. Either way it is just another example of the poor performance that is this councils hallmark. STRIKE THREE - AUTOMATED GARBAGE TRUCKS - the $10 million decision to automate Nanaimo's garbage pick up has been on the agenda since March 2015 and each time it was considered in open council it was clear, this was not clearly the way forward for the city of Nanaimo. This in spite of all the pretty pictures and supporting stats provided by city staff at the urging of CUPE. So, unwilling to let city taxpayers hear the discussion and debate surrounding this union-driven issue, in true Nanaimo fashion the decision had to be made in the dark, behind closed doors away from prying eyes. Why in-camera? In my opinion, it is because Nanaimo voters would not be able to see how CUPE was once again holding ransom Nanaimo taxpayers and how their support of councillors would be rewarded. What is so egregious about this decision, is not the final decision, but the method by which it was made, once again denying taxpayers to see in open council what each member of council thinks about this very costly decision. Of note are the thousands of dollars unions have put behind the election efforts of Councillors Brennan, Bestwick and Yoachim. That support ranging anywhere from 37% - 71% of the entire contributions to their campaigns. 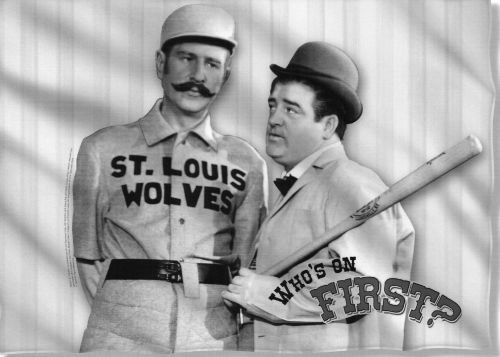 Keeping with the baseball theme, if you slip the umpire a C-note as you attempt to slide into home plate - would you expect him to call in your favour? The shenanigans of this Mayor when he first sat in the 'big chair', given his rookie status, while not counted as strikes certainly led to a lot of balls being batted foul. Remember the whole 'flip flop McKay' campaign and 'I want my vote back' demonstrations that led to more than one gallery-clearing, cop calling incident? His actions later led to calls from his own team to step down to actual legal actions being taken against him some of which have now led to the appointment of a special prosecutor. Ten members of the public filed a petition in Supreme Court making claims against him. The Mayor dodged that one due to the ineptness of the petitioners who failed to serve the documents in time. During the time of training camp, the inexperience of the new members of this team was obvious judging by some of the questions being asked during open council pointing to the clear lack of understanding on many issues. These led to more foul balls but again, given their rookie status were not considered as strikes. The FAB FIVE has become the motto used to denigrate council members being painted as hijackers of this council. It is noted that those wishing to marginalize the performance of the 'five' seem to be willing to throw out the whole principle of democracy. Their idea that the five have taken over council is likely as much to do with Nanaimo politics as being fair comment. The example of foul balls since November 2014 is far too long for this little rant but the final one which likely qualifies as a strike is the recent revelation that a member of this council was actually charged with assault, arrested and released on conditions which would require a future court date. This revelation was followed shortly by the unexplained resignation of Councillor Wendy Pratt who had been absent from council for 'medical' reasons. It is open to speculation that those medical reasons may be related to conditions imposed by law enforcement. Started with Council Brennan who on electioin day, was still phone campaining, won last place on council by a small margin. When called on this illegality Brennan (a seasoned politician) pleaded not knowing this law! !